I'm of the belief that one cannot have too many camera cases and backpacks, but ... the number of models being introduced seems overwhelming. However, every so often one catches my attention. 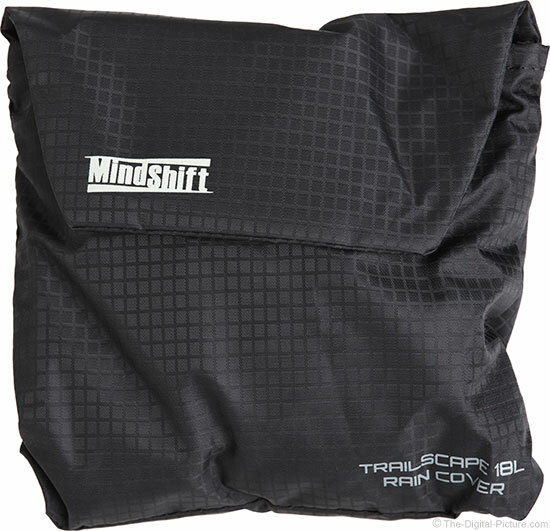 That was the "case" when MindShift Gear announced the Trailscape 18L. This backpack appeared to be the ideal option for when a smaller backpack was needed and at my request, MindShift Gear was kind enough to provide me with an evaluation sample. Let's dive right into the tour. Prominent on the top of the case are the zipper pulls. The zipper pulls used to access the main storage area of the backpack are very big and the zipper teeth are similarly large. At least in this case, big is good. These zipper pulls work extremely smoothly and are very easily grasped, including with gloves. The next-smaller set of zipper pulls located just above the larger ones are used to access the laptop, tablet and other accessory storage area. Though the smaller pulls do not work as buttery smooth as the larger ones, they are perfectly adequate for their purpose. Closer to the back of the pack is a handle useful for lifting the pack including when putting it on your back. The handle is sized somewhat large, adequately so for use with gloves. It is a backpack, so ... backpack straps are expected to be the prominent feature of the back. The straps and the back of the pack both feature significant padding, working together to make the pack very comfortable to wear. The front of the straps each feature an elastic loop and multiple nylon loops for attaching accessories. A height and length-adjustable, shock-absorbing sternum strap holds the straps at the desired width apart. At the bottom of the pack back is an unpadded wide nylon removable waist belt. While this is not a large pack, it is large enough that the weight belt is effective for shifting the weight from the shoulders to the hips even for my 6' frame. The belt clip is significantly sized, locks securely and has an attractive modern design. The recessed center of both sides of the clip permits easy alignment without looking (such as when a coat is in the way) – simply place a finger on the recessed part of each end and align the fingers. The sternum strap clip is a smaller version of the same clip. The left side of the case features a large, slightly stretchy pocket with an adjustable elastic closure, ideal for holding a water bottle (up to 32 oz) or the legs of a tripod. The top of the pocket slopes toward the front, facilitating access to a water bottle in the pocket while the pack is being worn. A pair of adjustable nylon straps are provided to hold a tripod (or a jacket or anything else that fits) in place and for cinching tight to anything stored in the pocket. The right side of the case has the same features as the left. Aside from being mirror-reversed, there is no difference. Apart from being flat, making the pack sit solidly upright, there is not much to point out on the bottom of this pack. The small zipper across the top of the pack provides access to a soft-lined pocket sized to easily hold a large mobile phone (up to 5.5" screen), wallet, etc. The dimensions of the pocket are approximately 4.7" x 7" HxW (120 x 178mm). Four loop attachment points are made available on the front of this case. The smaller zippers at the top of the case, as already discussed in the beginning of the review, provide access to the lid interior. The front of the case is unpadded, though the small top pocket adds some modest padding to this area. 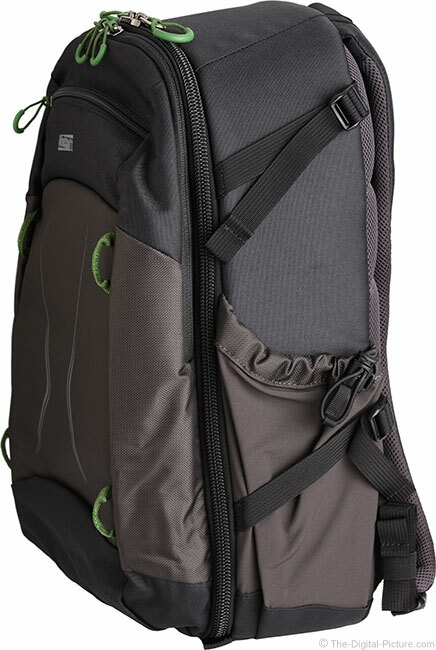 This area of the pack expands significantly and is able to hold a jacket, lunch, additional gear and many other items you want to take with you (6L of capacity). Pen and business card pockets are provided and a hook-and-loop flap provides access to the unpadded up-to-10" tablet storage area. Behind the tablet slot is the laptop storage area. The entire laptop storage area is padded including (important) the bottom. A slim 13" laptop fits very easily into this area. This is also a great location to store documents. The overall dimensions of the front section of this case, including the computer storage area, are 9 x 17 x 3" (23 x 44 x 8cm) (WxHxD) with a taper-to-narrower at the top. There is some flexibility in how this section is packed and significantly more depth can be used if the item is narrow. 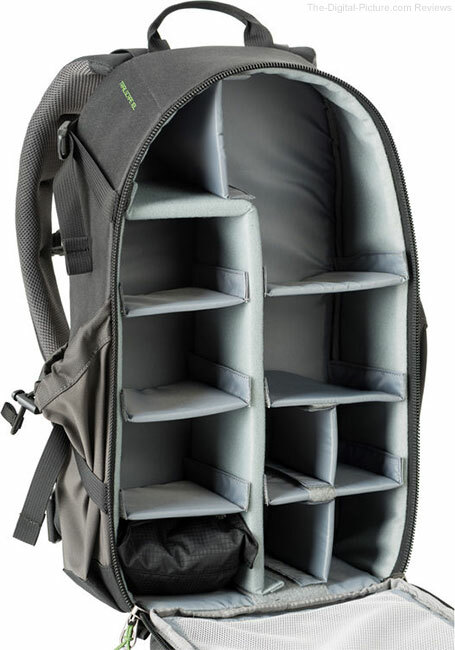 The case interior is a typical MindShift Gear / Think Tank Photo design featuring a thick primary padded divider and many thinner dividers. Hook and loop fasteners on the dividers allow the case to be quickly configured as desired. The primary divider also fastens on the bottom over its full length, preventing small items from slipping under it. The inside of the lid has two large mesh (see through) organizer pockets. While I would like to see a couple of smaller pockets that make it easier to find small items such as memory cards, the large pockets provide lots of flexibility in what is stored there. I should note that MindShift Gear provides solutions for keeping track of the memory cards with the House of Cards and the Card Again Memory Card Wallet. The lid interior pockets are unpadded, so consideration of interior-stored items being separated from pocket-stored items by only the thin mesh should be considered (this situation is common with most camera backpacks). The metal zipper pulls tuck under a small cover when closed, avoiding potential scratching caused by these. All backpacks that may be used outdoors are better off with a rain cover and the Trailscape 18L comes with one of these. 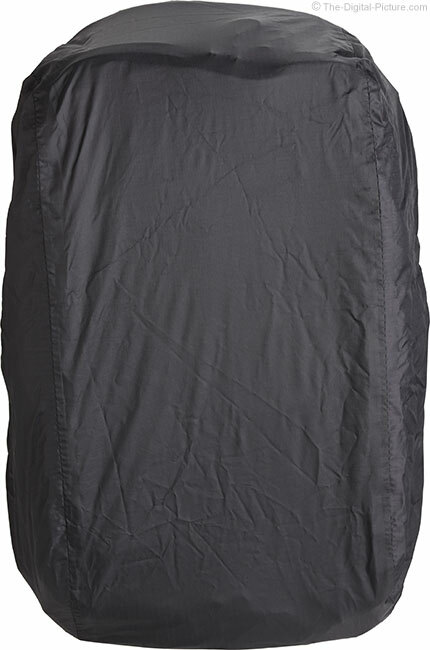 This very light cover compresses to a very small size and stores in its own attached pocket (the pocket/pouch compresses even more than shown below). At this time, United Airlines lists the maximum personal item size as 10 x 17 x 9" (25 x 43 x 22cm). 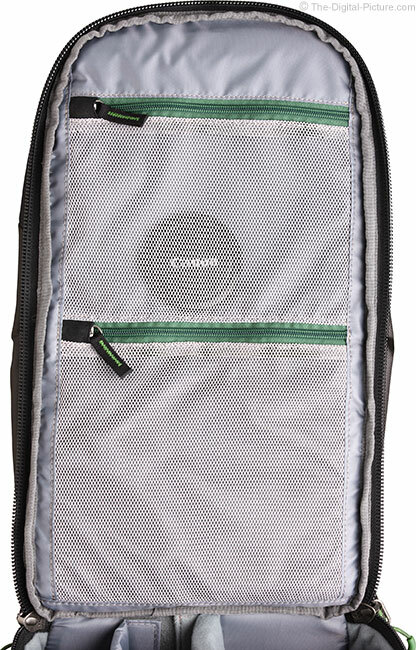 While this pack is well under the current USA carry-on limits, it is just slightly over the personal item limitation in two dimensions (length and width). Thus, I cannot endorse this case for that use. However, I think that I could get it into the personal item sizer at the gate if questioned about it and plan to use this pack (not stuffed full) as my personal item when flying. 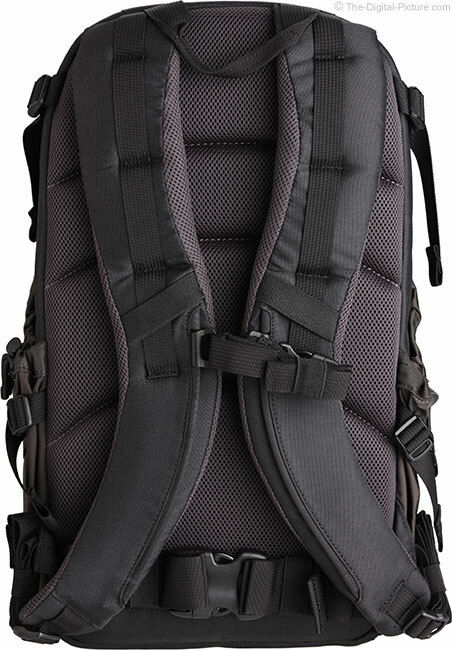 My current pack for this use is the Think Tank Photo StreetWalker Pro. It measures 10 x 17.5 x 7.5", also slightly exceeding two dimensions, and I have encountered no sizing issues to date. Capacity is of course a big key in backpack selection. If your stuff doesn't fit, it is the wrong pack. MindShift Gear lists the Trailscape 18L as holding 1 standard-size DSLR and 4–6 standard zoom lenses including a 70-200mm f/2.8 attached with hood in the shooting position or 2 large Mirrorless bodies and 5–7 lenses plus a flash. The maximum lens size is listed as 300mm f/2.8. Due to the 4.8" (12cm) depth of the case, a gripped/pro body will not fit in normal vertical orientation. The above image shows a conservatively loaded Trailscape 18L. By conservative, I mean that I am not exceeding the interior depth, allowing full capacity of the laptop and accessory storage area. The pack closes nicely with the two black lenses vertically oriented (vs. on their sides), making room for additional items, though some of the other storage capacity becomes slightly infringed upon. 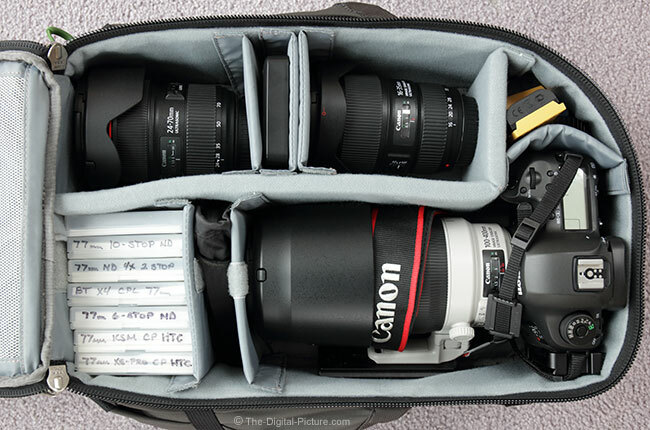 In the above pack is the following: A Canon EOS 5Ds R with a Canon EF 100-400mm f/4.5-5.6L IS II USM Lens mounted. A Canon EF 16-35mm f/4L IS USM Lens and a Canon EF 24-70mm f/2.8L II USM Lens. Six filters, a remote release, two spare batteries and a WD My Passport portable hard drive round out the balance of what you see here. That is enough gear to handle a wide range of needs. Basically said, the black nylon portion of the exterior has a soft feel and the charcoal-colored nylon has a smoother texture. MindShift Gear does a really great job designing their packs and I find it difficult to find something to complain about on this one. I know that complaining is part of my job, but the only things I can come up with are either minor or personal preferences. I mentioned that I would like some smaller zippered pockets in the lids for storing memory cards and similar. Perhaps the dimensions could more-closely match the personal item size limitation. Perhaps a second hinge in the primary padded divider, permitting a second camera with mounted lens to be stored, is something I can ask also for. Otherwise, I'm finding it hard to complain about the Trailscape 18L. 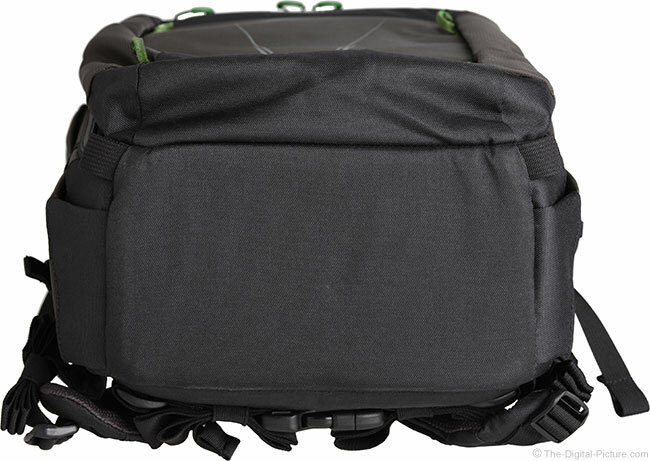 Why the MindShift Gear Trailscape 18L? 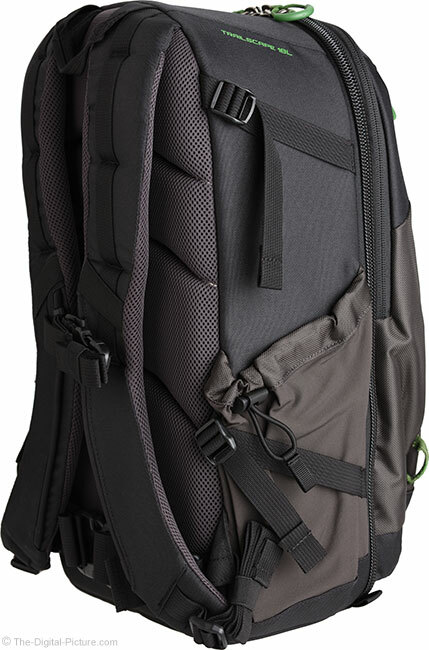 Simply put, you want this backpack if you are looking for a high quality, light weight camera backpack with a medium amount of capacity that includes additional items including a tripod, water bottle, laptop, tablet, jacket and other items. 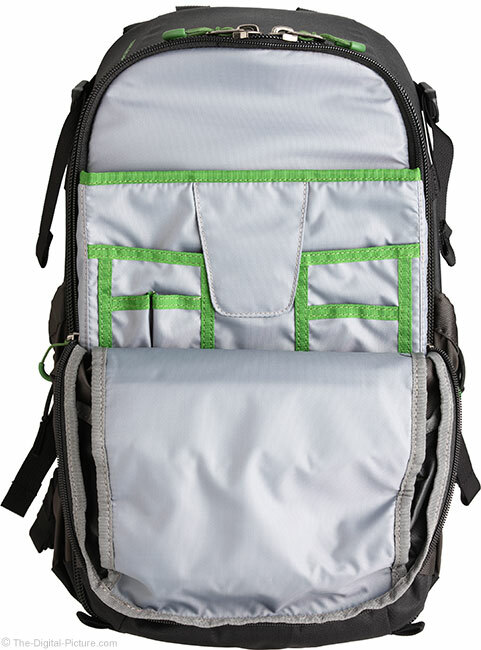 And, you want a backpack that is very comfortable to carry for even long periods of time. And, you don't want to pay a lot for it. 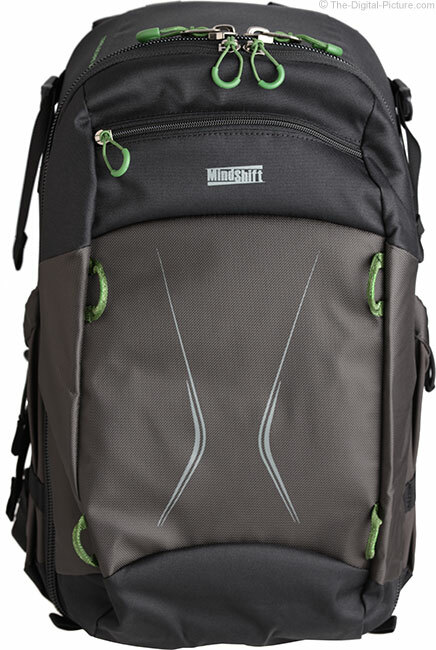 If your gear fits in the MindShift Gear Trailscape 18L, it deserves to be on your short list. 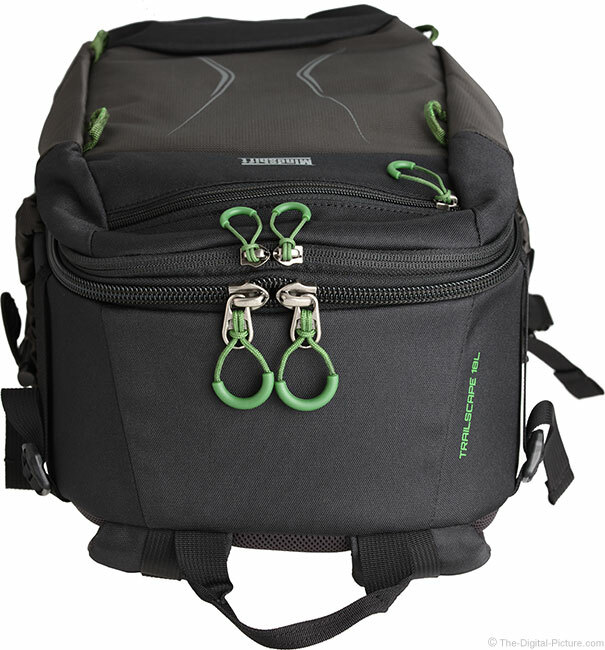 Even if your gear does not consume this much space, this pack weighs only modestly more than a toploader-style case and you may enjoy the extra space such as when you no longer want to wear your jacket. 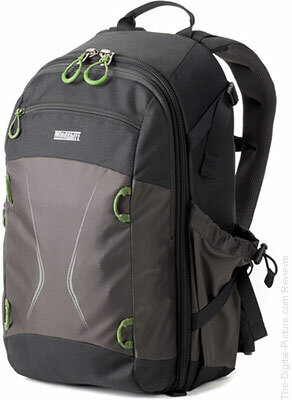 You may also appreciate the better ergonomics of a backpack vs. a single shoulder-style case.